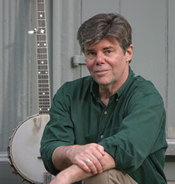 On Monday, July 2, Gilford’s Historical Society is eagerly looking forward to having Jeff Warner of Portsmouth present his program, “Songs of Old New Hampshire” at the Village Ban dstand at 7:30. At 7:15 there will be a dessert table set up so all may enjoy a variety of desserts while they are getting comfortable, either in their lawn chairs or on their blankets. Having enjoyed a number of band concerts performed during the summer at Gilford’s Village Bandstand, it was thought that this would be a new opportunity for the Society to present a unique musical program that will appeal to all age groups. We hope that families will feel comfortable bringing their children. The program is sponsored through the N.H Humanities Council, with addition funding from the Charles P. Pardoe Grant and is free to all who attend. IF it should rain, the program will move across the street and be held inside the 1834 Meetinghouse. We hope that many will take this opportunity to come, enjoy the free program and desserts, and pick up a brochure that describes the upcoming programs offered by Gilford’s Historical Society. Another first for the Society is that we will have the Rowe House open for the months of July and August for tours every Thursday and Saturday from 10:00-2:00. We were very pleased when 124 people visited the Rowe House during our various Holiday Open Houses; it was thought that if we had the House open during a week day and on a Saturday, that more would have the opportunity to visit and realize what a gem we have right in the middle of our beautiful village. During the month of May, 20 volunteers donated their time to make possible the third grade field trips to the 1887 Mount Belknap Grange, 1834 Meetinghouse, and the 1838 Rowe House, plus the kindergarten classes visit to the Grange. A total of approximately 180 hours was devoted to making their field trips an enjoyable learning experience. Many times, students would want to ask more questions concerning items displayed in the Rowe House, but time did not permit us the luxury of spending more time. It is hoped that students will want to bring their parents and they can act as the tour guide as they show them the house, plus, they will then have more time to spend in areas that caught their special attention. Also, grandparents, bring your grandchildren and share with them some of your memories. Perhaps you remember when milk came in a glass bottle and you had to shake it to combine the cream with the skim milk. We have glass bottles from some of the local dairy farms, when milk was delivered to your home. My husband remembers sleeping in an unheated bedroom; a soapstone would be warmed in the oven of the wood stove in the kitchen, wrapped in a towel, and then used to warm the sheets of his bed and to keep his feet warm as he fell asleep. We have a soapstone near the hearth in the bedroom to make this memory come alive for our young people today. We are always interested in hearing about programs or activities that you would be interested in coming to see, if you have ideas please share them with us. If you would be interested in presenting a program, please contact us. We welcome new members and new volunteers to help, you can pick your area of interest, from being a docent at any of our three buildings, to helping with the upkeep of the buildings and grounds, to baking for our meetings. You name it, we welcome you to come and work with us. For information about Gilford’s historical society and a listing of upcoming events, go to www.gilfordhistoricalsociety.org. e-mail at thoames@worldpath.net or call at 527-9009.